On top of the wedding and everything else going on last weekend, I also celebrated my birthday in the Twin Cities. Having gone to school there for a number of years, I have quite a few friends still in the area. It was great to be able to catch up with some of them, even if only for a few hours. I really miss my Minneapolis sometimes. 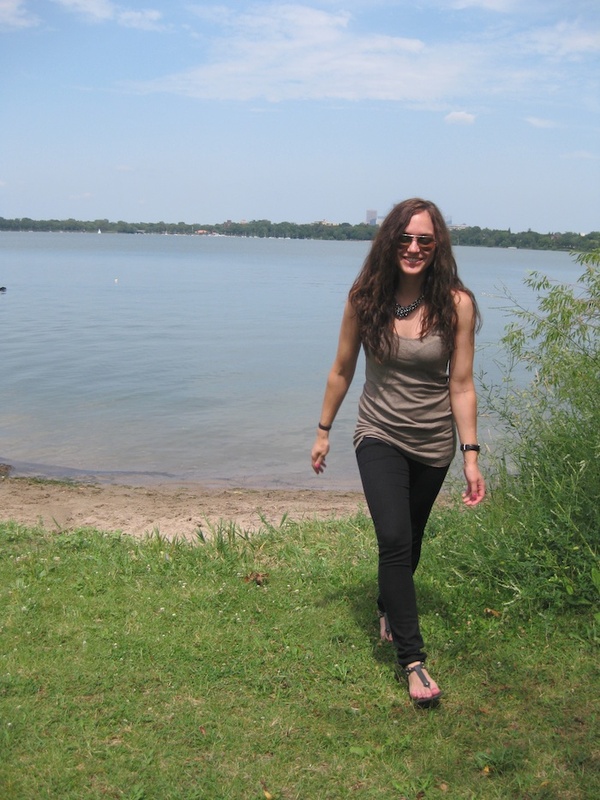 These shots were taken by Lake Calhoun, with a view of downtown Minneapolis in the background. I really amped up the outfit with the necklace here. It was my birthday, after all! Jump shot ftw. J. Crew necklace, Vince tank, Current/Elliott legging jean, Balenciaga sandals, Raymond Weil watch, and Ray Ban aviator. ive programmed myself to ignore the bday section on facebook, but your bday dinner post on IG reminded me, just checked and say i'm way late. so as a bday present im finally checking out the blog :) love the necklace here, makes the outfit, IMO. and happy late birthday! Thank you!! Just checked out your blog, I LOVE it! I'm your newest follower :) Thanks for checking mine out! looks like you had a super fun time! cute pics, cute you. happy b-day! CUte blog! These pictures are so much fun! Congrats on everything you have going on!!! Love your style! This necklace is gorgeous!